We do not ship ANY ITEMS FOR ANY REASON! If you are an out of state buyer, you will need to arrange your own pick up/shipping! “Online Auction Platform” means the hardware and software utilized to conduct the Auction online and to facilitate online bidding, including any associated, adjunct, and/or complementary websites, services, premiums, and promotions. “Reserve” or “With Reserve” means that property put up at auction may be withdrawn by the Auctioneer and/or bids may be rejected by Auctioneer prior to the Fall of the Hammer. UNLESS SPECIFICALLY AND EXPRESSLY STATED OTHERWISE BY AUCTIONEER IN WRITING, ALL PROPERTY IS BEING WITH RESERVE. 3. Bidder Registration; Bidder Qualification. 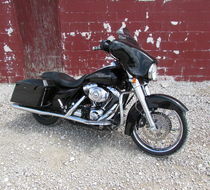 All persons desiring to bid at the Auction must register to bid. 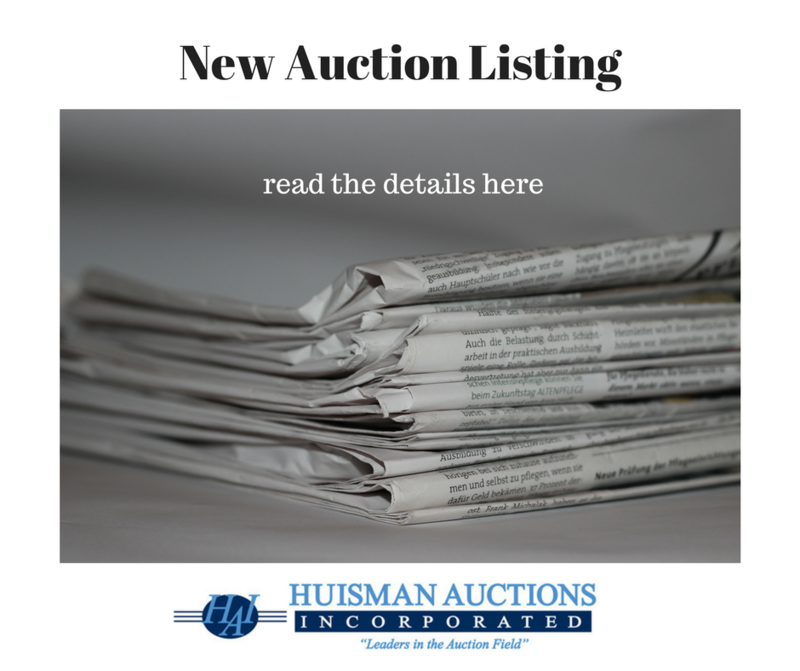 In order to register to bid, each potential Bidder must provide such information (including identifying information and qualifications) as requested by Auctioneer. Each person registering to bid represents to the Auctioneer that such person is at least eighteen (18) years of age and is otherwise legally able to enter into a contract. Auctioneer may refuse to accept a Bidder Registration from any potential Bidder, may refuse to grant bidding privileges to any potential Bidder, and may revoke the Bidder Registration or bidding privileges of any Registered Bidder. Each person registering to bid, or otherwise participating, at the Auction acknowledges and agrees that such person has read, understands, and agrees to be bound by, these Bidder Terms and Conditions. In Auctioneer’s discretion, bids may be received from a person who has not registered to bid, and/or who has not satisfied all requirements for Bidder Registration, and/or who has not previously been granted bidding privileges, and, by bidding, such person will be bound by these Bidder Terms and Conditions. Auctioneer may establish such Bidder qualifications as Auctioneer determines, in Auctioneer’s discretion, are reasonably necessary or appropriate. Bidder qualification provisions (which may include proof of the availability of funds) are intended for the benefit of Auctioneer and Seller, and create no rights or interests in any other persons, including competing Bidders. Auctioneer and/or Seller may (but will not be required to) waive any Bidder qualifications, either globally or on a case by case basis. 10.2. Bidder Terms and Conditions; Notices and Announcements. The Auction will be conducted in accordance with these Bidder Terms and Conditions and any notices or announcements by Auctioneer and/or posted online or onsite. 11. Absentee Bids; Remote Bidding. In addition to online bids, Auctioneer may, in Auctioneer’s discretion, receive Absentee Bids and/or bids tendered by other means, including telephonically. Absentee Bids may be initiated and advanced in accordance with Auctioneer’s policies and procedures. Auctioneer will make reasonable efforts to execute Absentee Bids, but Auctioneer will have no liability to any Absentee Bidder for the failure to execute any Absentee Bids for any reason whatsoever. Each Absentee Bidder acknowledges and agrees that Property may be sold to another Bidder for the maximum amount of the Absentee Bid based on a bidding sequence that causes another Bidder to reach the such amount first. If the execution of an Absentee Bid at its maximum amount would require Auctioneer to accept a bid that is less than a full bidding increment, Auctioneer has the sole and absolute discretion to acknowledge or reject such bid. An Absentee Bidder may authorize Auctioneer to advance the bid by one or more bidding increments after the maximum amount of the Absentee Bid is, or would be, reached. Auctioneer acts as the agent of the Seller only, and the receipt and/or execution of Absentee Bids will not create an agency relationship between Auctioneer and any Absentee Bidder. under any circumstances, (i) issue a stop payment order with respect to any checks issued at or in connection with the Auction, or (ii) initiate a credit card chargeback with respect to any purchases at the Auction. Each Bidder further agrees that if, in violation of these Terms and Conditions, a stop payment order is issued or a credit card chargeback is initiated, these Bidder Terms and Conditions will be conclusive evidence of the Bidder’s (i) waiver of any rights to issue a stop payment order or to initiate a credit card chargeback, and (ii) agreement not to issue a stop payment order or to initiate a credit card chargeback; and each Bidder acknowledges and agrees that on Auctioneer’s presentation of these Bidder Terms and Conditions to the bank, credit card company, or other financial institution against which a check was drawn or that issued the credit card on which charges were made, such bank, credit card company, or other financial institution will reverse any stop-payment order and/or reverse or deny any credit card chargeback, and will recredit all amounts to or for the account of Auctioneer. If, in violation of these Bidder Terms and Conditions, a Bidder issues a stop payment order or initiates a credit card chargeback, such Bidder, even if successful, will remain liable for all purchases made at the Auction, and will be responsible for all costs and expenses, including attorneys’ fees, incurred by or on behalf of Auctioneer and/or Seller in challenging the stop payment order or credit card chargeback and in collecting payment. Each Bidder acknowledges and agrees that the covenant not to issue a stop payment order or to initiate a credit card chargeback is a condition to Bidder Registration and to the privilege of bidding at the Auction, and is being made as an inducement for Auctioneer to accept such Bidder’s Bidder Registration and to permit the Bidder to bid at the Auction. Each Bidder acknowledges and agrees that Auctioneer is relying on the covenant not to issue a stop payment order or to initiate a credit card chargeback in accepting such Bidder’s Bidder Registration and in permitting the Bidder to bid at the Auction. 31. Claims. Unless otherwise provided in writing, after a Lot has been removed from the Auction Site by or on behalf of a Buyer, no claims or returns will be allowed and no claim will be allowed for adjustments or rescission of any sales based on the failure of a Lot to correspond with any standard and/or expectation of the Buyer. 39. Attorneys’ Fees. If any Participant breaches such Participant’s obligations under these Bidder Terms and Conditions, Auctioneer and/or Seller will be entitled to recover all costs and expenses, including attorneys’ fees incurred in enforcing their respective rights hereunder.